This article does not apply to pet immune motion detectors. Once a sensor detects motion, it will wait a certain amount of time before detecting again. This is to save battery. 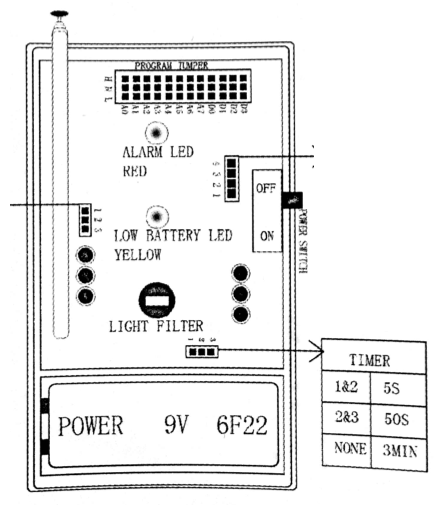 On standard motion detectors, adjust the amount of time it waits by adjusting the plastic jumper as shown on the Timer portion of the diagram below, selecting from 5 seconds, 50 seconds, or 3 minutes. A higher time will increase battery life.